Marissa Farrar: Any movie makers out there??? My good twitter friend Daniel (Di) Davidson-Amadi (@TheSplinterCell) has started up a new competition site for film-makers. He's a great guy to get involved with (whether you're a film-maker or not) and he'd love for all you aspiring movie makers out there to get involved! 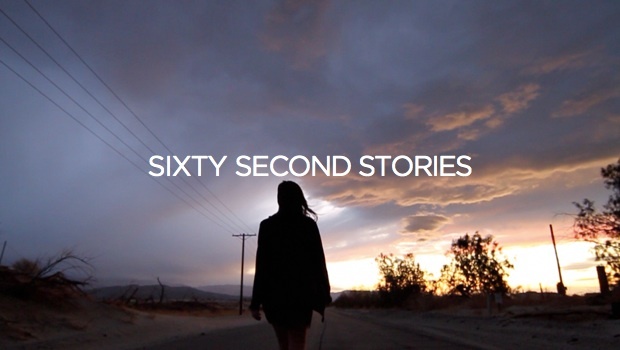 Hi and welcome to Sixty Second Stories. In case you're not familiar with it, Sixty Second Stories is a global survey of cinematic storytelling from a new generation of filmmakers. It's about inspiring new filmmakers all over the world to make short one minute films. Then we'll be pulling the best ones together into a feature which we'll present at the Berlin film festival this year.